The image below showcases returning characters Newt Scamander (Eddie Redmayne) and Jacob Kowalski (Dan Folger) alongside a new character, the wizard Yusuf Kama (William Nadylam). Williams will play Professor Eulalie “Lally” Hicks, who teaches at Ilvermorny School of Witchcraft and Wizardry, America’s equivalent of Hogwarts. 13th December 2017 - Which Beasts Are Returning? 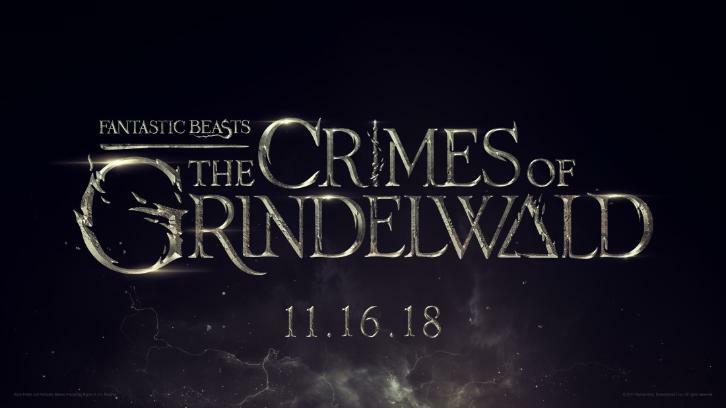 Today marks one year until the next Fantastic Beasts film is released in cinemas, and Warner Bros. has revealed that the title will be Fantastic Beasts: The Crimes of Grindelwald. Harry Potter readers and film fans may already be familiar with some of the crimes of Dark wizard Gellert Grindelwald. He first appeared in the Potter stories as the villain of Dumbledore’s generation, and we learned he was expelled from Durmstrang for ‘twisted experiments’ among other things. 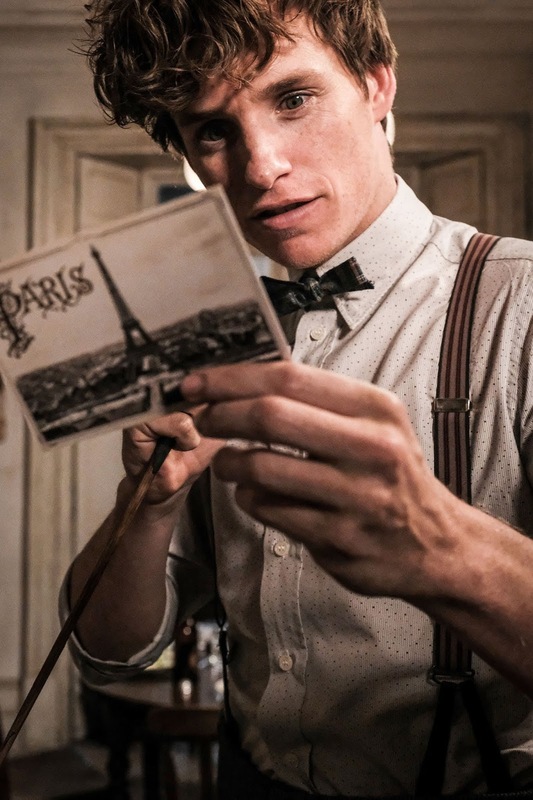 Fantastic Beasts and Where to Find Them was set some years after that time, and in the intervening years Grindelwald caused chaos across Europe, gaining infamy for trying to create a wizarding hierarchy to dominate all non-magical beings. 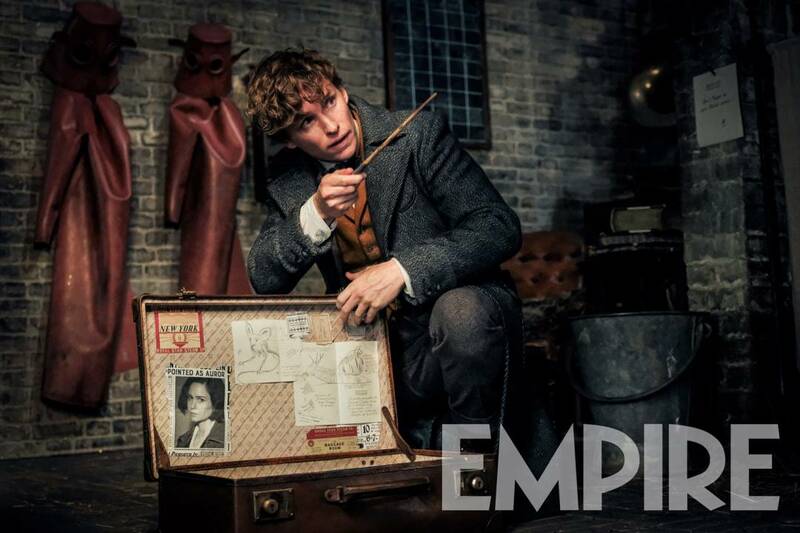 He was eventually caught while disguised as Auror Percival Graves and imprisoned by MACUSA. A new ensemble photo has also been released accompanying the film title reveal, featuring the first look at Dumbledore and Grindelwald in their rather dapper costumes. 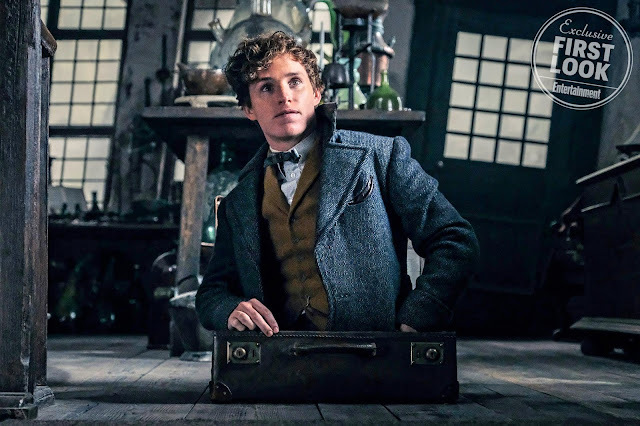 We also have fresh looks at the central cast, including Newt Scamander, Tina Goldstein (Katherine Waterston) with a new haircut, Queenie Goldstein (Alison Sudol) and Jacob Kowalski (Dan Fogler), who are all confirmed to return. 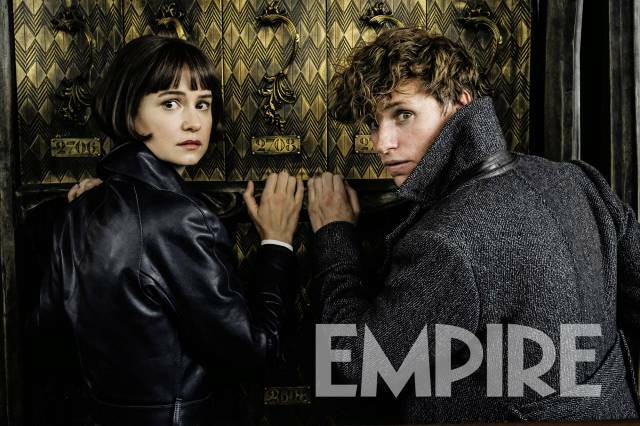 There are also some new characters: Newt’s older brother, Theseus Scamander (Callum Turner), and his fiancée, Leta Lestrange (Zoë Kravitz), who was seen in a photo in the first film. Credence, played by Ezra Miller, is also confirmed to return, and features in the ensemble photo next to a mysterious character played by Claudia Kim. The character is known as a ‘Maledictus’: someone who suffers from a ‘blood curse’ that turns them into a beast. 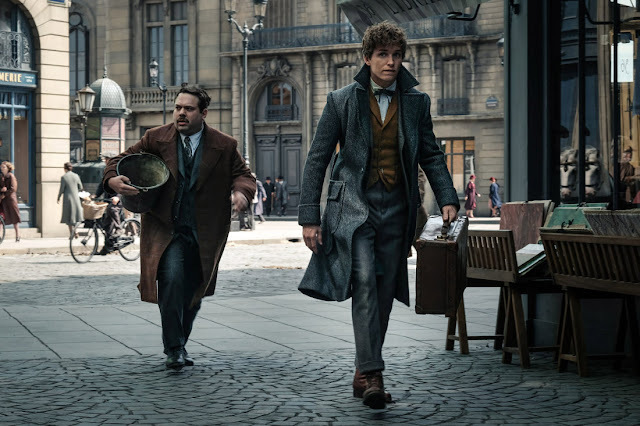 Other characters from Fantastic Beasts and Where to Find Them, such as MACUSA President Seraphina Picquery (Carmen Ejogo), will also be back for this second adventure. As well as Grindelwald and Dumbledore, other familiar names to Harry Potter fans are set to appear in the new film too, including alchemist Nicolas Flamel – first mentioned in Harry Potter and the Philosopher’s Stone. Leta Lestrange’s more pronounced involvement in this film will no doubt intrigue fans, seeing as her last name is shared with a key Harry Potter character, the Death Eater Bellatrix Lestrange. The Daily Show correspondent Jessica Williams will also appear in a new, undisclosed role. You can read more about the new cast here. 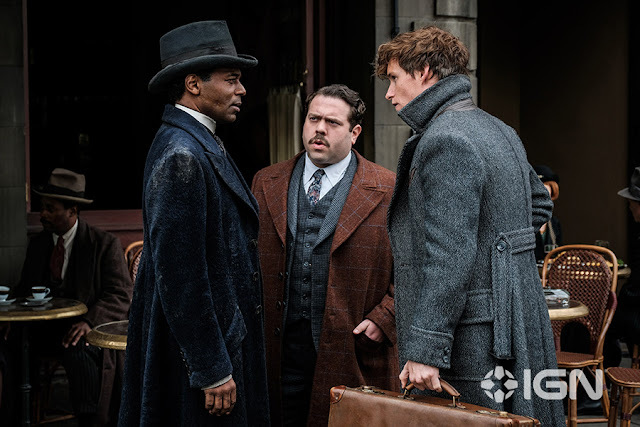 Fantastic Beasts: The Crimes of Grindelwald takes place in New York, Paris and London, where we will see love and loyalties tested in this tumultuous time in the wizarding world. David Yates returns to direct Fantastic Beasts: The Crimes of Grindelwald, which is out in cinemas on 16 November 2018. The new names will be joining the central cast: Eddie Redmayne as Newt Scamander, Katherine Waterston as Tina Goldstein, Alison Sudol as Queenie Goldstein and Dan Fogler as Jacob Kowalski. Carmen Ejogo, who portrayed the no-nonsense President of MACUSA Seraphina Picquery in the first film, has now been confirmed to be returning too. And they certainly won’t be alone. 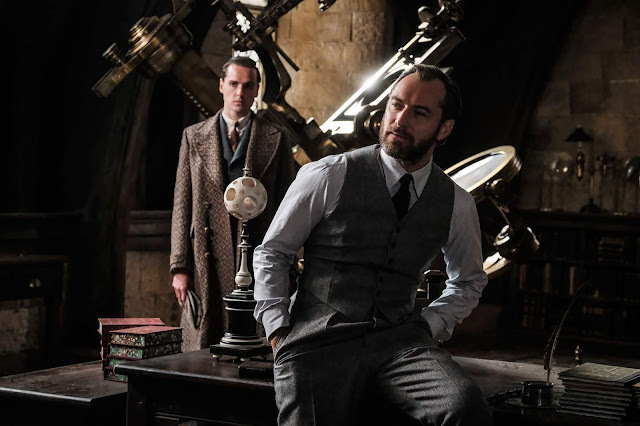 Earlier this year, Pottermore confirmed that Jude Law would be joining the cast as Albus Dumbledore, who is set to ‘team up’ with Newt in order to take down Dark wizard Grindelwald. 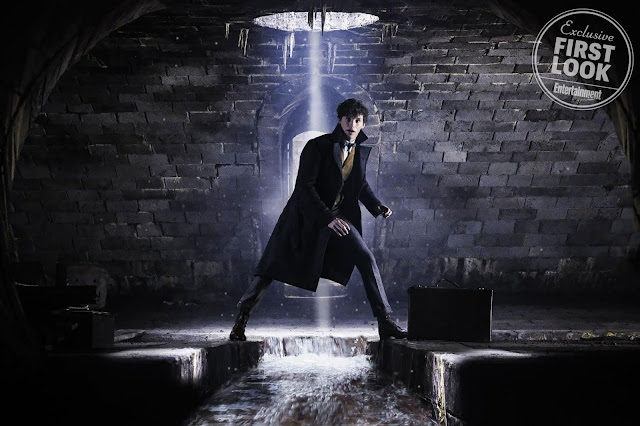 EXCLUSIVE: Danish-Japanese actor David Sakurai is set for Warner Bros’ Fantastic Beasts And Where To Find Them sequel, the second film in J.K. Rowling’s five picture Harry Potter prequel series. 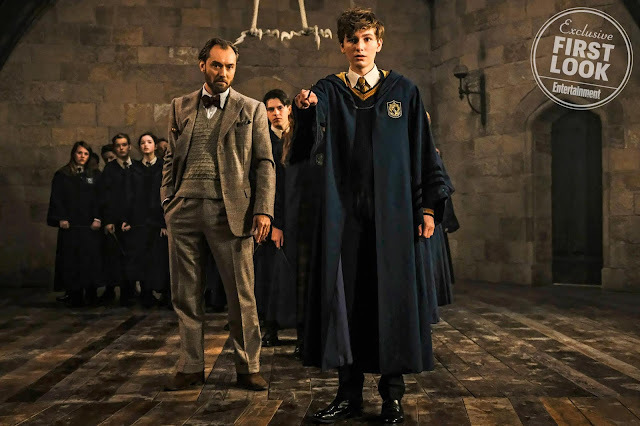 David Yates is at the helm once again, along with star Eddie Redmayne as Newt Scamander, Johnny Depp as dark wizard Gellert Grindelwald, and franchise newcomer Jude Law as a young Albus Dumbledore. 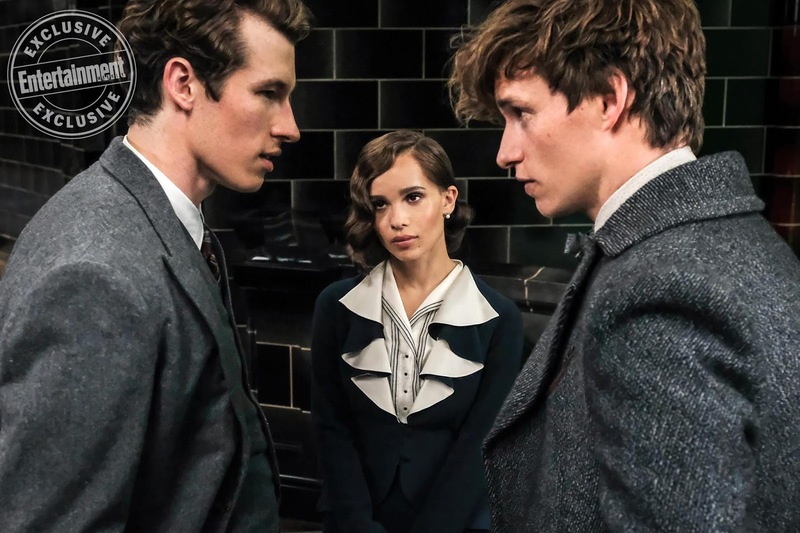 Rowling, who made her screenwriting debut on “Fantastic Beasts and Where to Find Them,” has also written the script for the second installment. 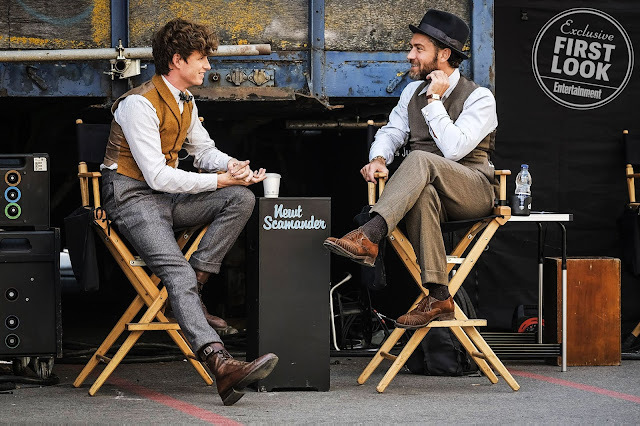 The film is set in an increasingly dark time for the Wizarding World where Newt Scamander and company have to decide on their allegiances. Plot details are unknown at this time other than the film being set in Paris. Well, yes, it’s true: Johnny Depp is playing Gellert Grindelwald. Nevertheless, many fans have speculated that younger versions of well-known Harry Potter characters could well appear in either Fantastic Beasts and/or one of the four sequels that are now being planned by Rowling. Fantastic Beasts director David Yates (who will also helm the sequel) has now confirmed to Screen Rant that Albus Dumbledore will appear in the next Fantastic Beasts installment, and that casting for the role is underway. EXCLUSIVE: Johnny Depp is joining the cast of Fantastic Beasts And Where To Find Them, playing a co-starring role in the sequel which David Yates will direct early next year with Eddie Redmayne in the lead role of Newt Scamander. I’ve confirmed this, but no one is saying exactly what role that Depp will play. 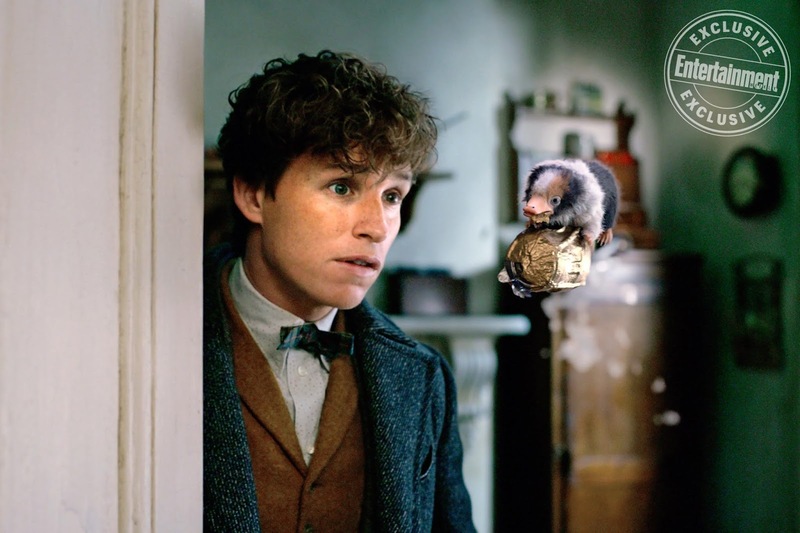 But I believe that if you look carefully, you might spot him in a tiny turn in the first installment of the J.K. Rowling-created Harry Potter spinoff, which Warner Bros opens November 18. 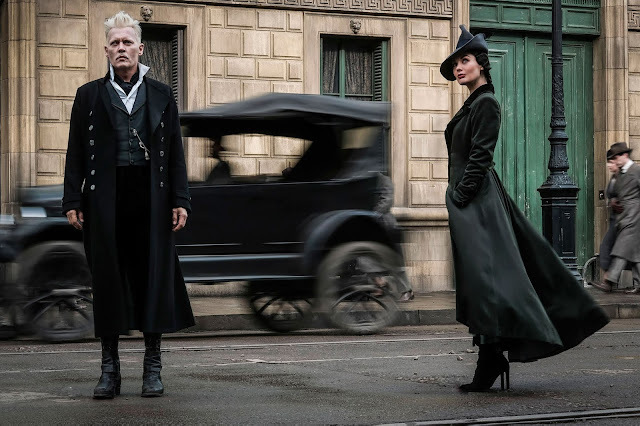 We’ll just have to wait and see how Depp complements the adventures of writer Newt Scamander in New York’s secret community of witches and wizards, seventy years before Harry Potter reads his book in school. Depp films the sequel he completes another ensemble, the Kenneth Branagh-directed Fox whodunit Murder On The Orient Express. This would come before Depp takes roles in Labryinth, the drama about the murders of Tupac Shakur and Biggie Smalls, and before he stars as The Invisible Man. Depp, who was still at UTA when this was orchestrated, just recently moved to CAA.